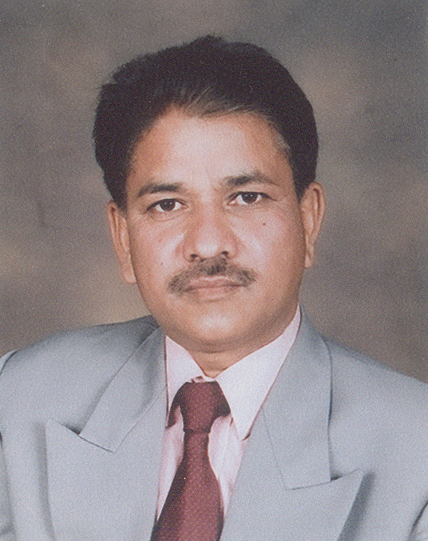 Suhail Munawwar is a Senior Radio,Tv Artist & Writer. He started his artisitic carreer in 1986 from a program called "Bazm-e-Talba" on Radio Pakistan. He has been performing different roles in various Tv Dramas since 1986. He wrote different commedy programmes on Radio Pakistan. Mr.Qamar Jameel, Mr.Iqbal Jaafri, Mr Hasan Kaazmi, Mr Yawar Mehdi, Mr Zameer Ali, Mr.Khursheed Alam, Mr Sebtain Jafri, Mr S.Tahir Ali, Mrs.Asmat Zehra, Mr.Qazi Miskeen, Mrs.Syeda Naaz Kazmi, Mr Muhammad Yaqoob, Mr.Uzair Ahmed & Many others are the Radio Teachers of Suhail Munawwar. He interviewed Different Personalities & wrote plenty of Programmes of Eid-ul-Fitr and Eid-ul-Azha from Radio Pakistan Karachi. He Started Tv Dramas from a Sahira Kazmi's Drama "Khush Naseebi Kay Darwazay" in 1988. After That from private production, he Performed different roles in more than 250 Tv Dramas from Different Tv Channels. He played 100 different Roles in Haroon Rashid's Drama "Pas-e-Aaina" which is admired by the audience. he aslo Played Different Roles in Drama "Dard Ka Rishta". Besides this, he kept Participating in different Tv Dramas & got more fame. He Played Important Roles in Mr.Muhammad Javaid Fazil's Drama Jaisay Jaantay Nahen", Drama Halaat, Drama Serial "Shiddat" & Drama Serial "Bebak" which were liked by the viewers. this is how he Got Another Drama Called "Aik Aam Si Ladki" whose Director was Zeeshan Hasan, in which he performed a superb character which consist of eight episodes. he Performed 35 Different Roles in ARY Drama "Nani Jaan Ki Kahani". Suhail Munawwar Played a big & important role of 'Faqeer Muhammad' in Drama Series "Anjaanay Raastay". He Performed Role of "Chandu" in Arif Khan's Drama Serial "Kaisi Hai Yeh Zindagi". this is how he performed different Roles in Mr.S Sulemaan Drama "Rabia Zinda Rahe gi" & Mehreen Jabbar's Drama "Kahaniyan". he also Performed Programmes in Urdu, Punjabi & Siraiki. Mr Muhammad Javaid Fazil, Mr.Haroon Rasheed, Mrs Mehreen Jabbar, Mrs Sahira Kazmi, Iqbal Latif, Zaheer Khan, Haroon Pasha, Mr.S.Sulemaan, Mr.Arif Khan, Mr.Misbah Ishaaq, Mrs.Seema Taher Khan, Zeeshan Hassan, Mr.Moin Akhtar, Mr.Muhammad Qavi Khan Mr.Saleem Jalali, Mr.Ameer Imam, Mr.Akber Qureshi, Mr.Qazi Wajid & a lots of Seniors Artist are the Teachers of Suhail Munawwar.